Christmas is coming and WYOMING ESCAPE, my tale of danger and romance set on a Wyoming dude ranch, is free on kindleunlimited. Mikela Richard’s morning run turns horrific when she stumbles upon a dead body and then is chased through the woods. The next day is even worse when she discovers a second body in her office and realizes a dirty cop is responsible. 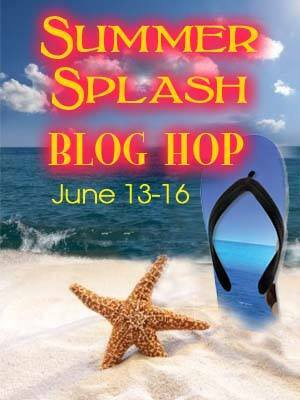 With a past experience that makes her distrust the police, she goes on the run until she can unravel the mystery of the strange computer thumb drive she found in her car. She ends up working as a cook at a Wyoming dude ranch where she meets Shawn Saunders, a Marine home on medical leave. Shawn recognizes the type of fear in Mikela’s eyes—it’s one of the things he’s come home to forget. Even though he knows it’s a bad idea, he can’t stop himself from trying to help her, while she’s even more afraid to let him. A few minutes later, the old wooden floorboards creaked beside her. “That’s the loosest I’ve seen you since you got here,” a soft, male voice spoke from the shadows. To her surprise, Mikela wasn’t startled. Somehow she had known he was there. Not raising her head, she shifted, resting her cheek on her arms. “Something like that. Enjoying the quiet and getting back into the rhythm of things. It takes some time to adjust to normal life after I return. The horses help a lot.” He leaned down and rested his arms on the top of the stall door, a soft expression on his face as he watched the pair sleep. “I’m sorry. I didn’t mean to … remind you of unpleasant things.” She automatically put her hand on his arm in a comforting gesture. They stood joined for a long moment. Then Mikela gently pulled away. His touch set her pulse racing, made her want what she shouldn’t. She couldn’t afford to give in to the attraction tugging at her. He was so different from the men she usually encountered. Certainly poles apart from the one she’d married. She shook her head. Let’s not go down that path tonight. Mikela knew she should leave, but her feet didn’t want to cooperate. She remained beside him, absorbing the peace and calm of the horses and his quiet solidity. When she put her hand back on the stall door, he reached over and covered it again. This time she let it stay, accepted the connection. Suddenly she felt herself aching to be held, to be enveloped in strong arms, to feel protected. The horror of the last two weeks suddenly pushed its way to the surface. Tears welled and began to stream down her face. The soft concern in his voice released the damned up flood. She shook her head and started to turn away, but the next thing she knew she was pressed against his warm, hard chest as he rocked and murmured to her. When she tried to pull away, he kept her close and ran his hand up and down her back, soothing and gentling her. The comfort he offered was too enticing. She collapsed against him and let herself go. Several minutes passed before her sobs quieted. She took a shaky breath and became aware of his musky scent and the dampness beneath her face. His shirt was wet from her bawling. Embarrassed, she stiffened and tried to step away. But he didn’t release her. Mikela relaxed against him. She’d already made a fool of herself—staying in his arms a little longer couldn’t make it any worse. When her breathing had returned to normal and her face was dry, she raised her head and drew back. This time he let her go. I hope you enjoyed this piece and want to read more. 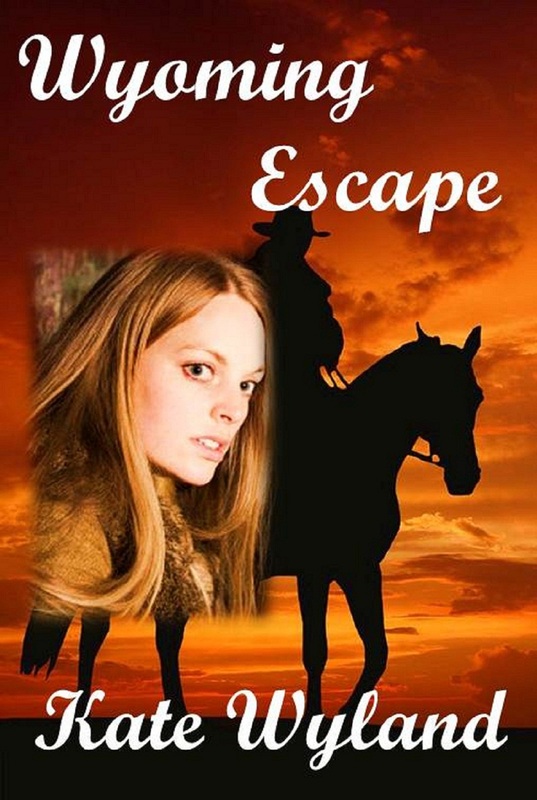 WYOMING ESCAPE is available for the Kindle on Amazon. 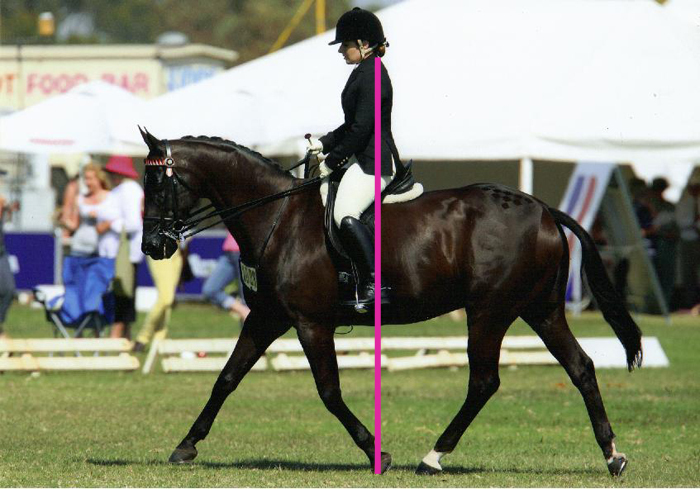 Cutting horses are the elite athletes and performers of the Western riding world. 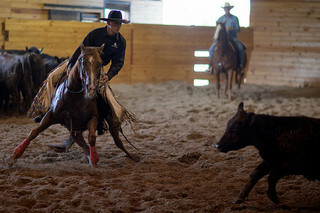 Highly trained, fast and nimble, they excel at an important ranching task. In the old West, cattle roamed the range and were usually rounded up twice a year for various purposes, such as branding, vaccinating and castrating. The cowboys also sorted out animals from neighboring ranches that had become mixed together. Cattle are herd animals, unused to being handled, and do not like to be separated from each other. You can’t just walk into a herd and lead a cow out. Instead you need to isolate the animal so you can rope it and get it under control, or send it into a different pen or herd. They tend to be quite uncooperative about this procedure. This is where the cutting horse comes in. In addition to being trained to make quick dashes, sliding stops and spinning turns, successful cutters have a quality known as cow sense. They have an uncanny ability to “read” a cow and anticipate its next move. Once their rider has shown them the cow he or she wants, the horse will move it out of the herd and keep it from going back, no matter how hard it tries to return. 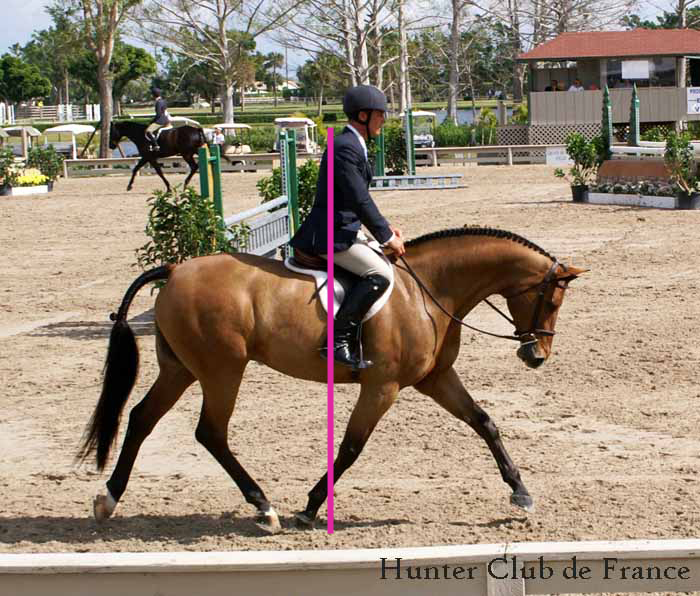 Cutting horse competitions grew out of this work and are hugely popular with Western riders. While any breed can compete, most are Quarter Horses specifically bred for the job. A small group of cattle is let into the arena and a couple of riders keep it together. 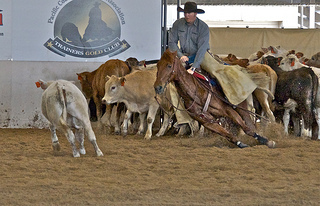 A competitor walks his horse into the herd and separates out a cow. His horse watches the animal and counters every attempt to return to its friends. After less than a minute, the rider stops and turns back to select another cow and repeats the procedure. The ideal is to cut three animals in two and half minutes. A good cutter really enjoys its job and is a delight to watch. The last team missed their cow and left to sound of good-natured teasing. A few minutes later a small herd of cattle was let into the arena and two of the wranglers kept them grouped together. “You’re up now, Shawn,” Pepper said. “Guess you’re right.” He took off his hat, smoothed his hair and resettled the Stetson firmly on his head. Loping to the far end, he entered the pen and brought his horse down to an easy jog while approaching the cattle. “What’s he going to do?” Mikela asked. As he drew closer, Shawn switched to a walk, studying the restless animals. Slowly and quietly, he headed Cherokee into the bunch, weaving through them. He seemed to find what he wanted and began to herd a cow with a bald face and a big white splotch on her back out of the group and into the open. The heifer suddenly realized she was alone, spun around and attempted to return to her companions. The colorful horse whirled and blocked her way. The cow trotted to the side and again tried to dash back to the herd and again the paint stopped her. When she bolted in the opposite direction, Cherokee was right beside her, sliding to a stop and crouching as she put on the brakes. He stayed crouched, watching her intently. Each time she spun, trying to evade him, he swung around to meet her. Mikela watched in fascination. Cherokee seemed to be doing everything on his own. Shawn sat still in the saddle, his reins sagging, and did nothing visible. The bald face cow again charged for the side of the arena. The paint kept pace, slid to a stop, blocking her, then spun around to follow as she dashed the opposite direction. Sprinting after her, he stumbled and pitched forward slightly. The trip caught Shawn by surprise and he briefly lost his balance, jerked sideways and quickly recovered. After several more attempts, the heifer appeared to give up and stood panting. Shawn picked up the reins and turned his horse away, while the crowd yelled and applauded, wanting more.